Wishing you all a Happy St. Patrick's Day! 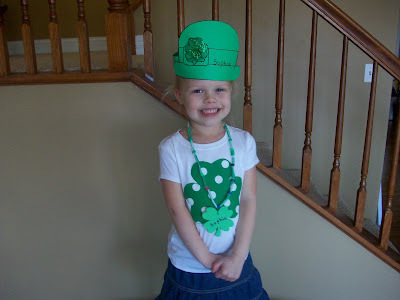 Sophie posing after preschool with her fab hat & necklace she made. 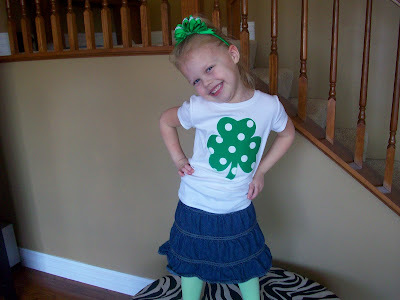 Modeling with her shamrock shirt I made the girls. 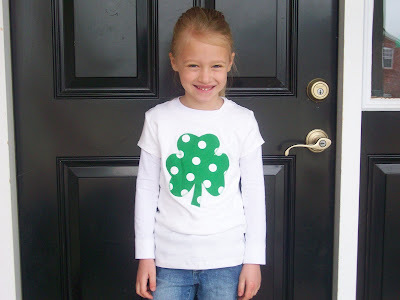 Mia was ready to go this morning in her shamrock tee. And a sneak peek of our crazy fun trip to Louisville, Kentucky to watch my sister Maggie play softball! 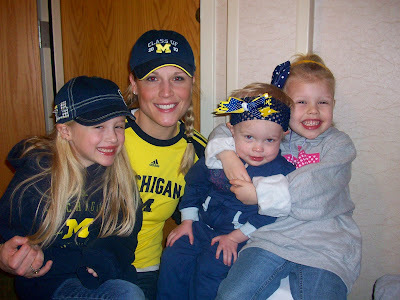 Go Michigan! They won all four games. Do you sell your shirts you make? You are the most coordinated looking bunch I have ever seen! Love it!! Her hat and necklace are super cute! Love the shirt, too cute! What a cute pic of all of you, so cute! Adorable! 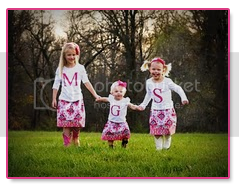 Love the shamrock shirts.